The University of Sydney today announced a major initiative in the field of fertility research and treatment, as it takes over ownership of Westmead IVF Pty Limited, the company which operates the private fertility clinic at Westmead Hospital, Westmead Fertility Centre. Westmead IVF has been given to the University as part of a major gift from a foundation established by one of the University's own alumni and staff members, Professor of Obstetrics and Gynaecology, Brian Trudinger. The fertility service was established 30 years ago and Professor Trudinger has been custodian for the past 22 years. It has the express aim of making high quality fertility treatment accessible to all patients at the lowest possible cost. As well as a 100 percent share in Westmead IVF Pty Ltd, the gift includes a $10.4 million cash donation which will establish both a chair in reproductive endocrinology and infertility and endow a research program in maternal foetal medicine. The company will continue to support ongoing world-class research in the field at the University. This would collocate the two phases of reproduction, falling pregnant and carrying a pregnancy to a successful outcome. The University's Vice-Chancellor, Dr Michael Spence, said this gift represented a unique opportunity to build on Sydney Medical School's existing strength in reproductive, maternal and child health while at the same time providing the best possible clinical services to patients. "By combining research into the beginnings of life, fertility, conception, the foetus, pregnancy and birth with a clinical facility for reproductive technology services, this gift will enable us to deepen and broaden that research and to return Australia to a position of world leadership in the field of assisted reproductive technologies. This gift is an outstanding example of a donation to the INSPIRED fundraising Campaign and donors' capacity to transform the landscape in a particular area of research. What makes this gift particularly appropriate is that the University and Westmead IVF share a commitment to serving the community and to quality and equity of access. It also gives us an opportunity to work even more closely with the Western Sydney Local Health District to advance the health of the community by aligning research and clinical treatment, a model which has been clearly shown to lead to innovation and better health care for patients." The Dean of Sydney Medical School, Professor Bruce Robinson, expressed his sincere gratitude for the gift, saying, "This gift brings together the link between clinical service, research and teaching for which Sydney Medical School and the University are renowned". Professor Trudinger sees the University as the natural guardian of a fertility service with core values of quality, accessibility and scientific enquiry. "The strength of the University in research and academic activity would be a great benefit to the hospital. I am delighted the University has so enthusiastically embraced this venture," he said. The gift has been welcomed by both the Western Sydney Local Health District (WSLHD) and Westmead Hospital. Emeritus Professor Stephen Leeder, Board Chair of WSLHD, said improved health outcomes resulted from partnerships in a continuum of translational research from the laboratory to the bedside. "This endowment and gift will enable the University of Sydney and the Western Sydney Local Health District at Westmead Hospital to strengthen their contribution to providing the best possible care at the beginning of life. Professor Trudinger and his colleagues have done superbly in this field and I am confident they will continue to do so through future research and clinical services," he said. This is the University's second major new initiative in health research in as many months, following the launch in June of the new Charles Perkins Centre, which aims to ease the burden of obesity, diabetes, cardiovascular disease and related conditions by generating collaborative interdisciplinary research and education that translates into real-world solutions. The Minister for the Environment, the Hon Greg Hunt MP, announced the appointment of Gregory Andrews as Australia’s first Threatened Species Commissioner on 2 July 2014. This new role brings a new national focus to conservation efforts and is helping to address the growing number of native flora and fauna in Australia facing extinction. The commissioner works collaboratively with the national Threatened Species Scientific Committee and the community, including the non-profit sector, industry, scientists and all levels of government to broker solutions that avoid the extinction of Australia’s native species. The commissioner consults on, and raises awareness and support for, threatened species in the community. The role includes building on, and initiating, new initiatives and strategic approaches to threatened species conservation. The commissioner takes a practical, evidence-based approach and is ensuring that conservation efforts and investment are better targeted, more coordinated and more effective. The commissioner’s role complements the government's responsibilities for threatened species protection and recovery under Australia’s national environment law - the Environment Protection and Biodiversity Conservation Act 1999 - by having oversight of the development, implementation and reporting of threatened species recovery programmes. The work of the commissioner also supports and supplements the statutory responsibilities of the Threatened Species Scientific Committee. Gregory is part of the senior executive team in Australia’s Department of the Environment. Before taking up the Threatened Species Commissioner position, Gregory was managing implementation of biodiversity conservation programmes, including management and evaluation of National Landcare Programme and 20 Million Trees initiatives. Gregory previously worked in the former Department of Climate Change and Energy Efficiency where, as the Deputy Head of Australia’s delegation to the United Nations Climate Change Convention, he led negotiations on key issues with developing countries. Gregory has worked for the Australian Government in senior positions on social and Indigenous policy reform and took leave to work on Indigenous community development in the non-government sector from 2008 to 2010. Gregory began his career as a diplomat with Australia’s Department of Foreign Affairs and Trade in 1991. He has been on postings to China and Japan, and worked on a number of key negotiations on behalf of Australia during this time. Gregory graduated with first class honours in Economics from the University of Newcastle in 1991 and completed a Masters in Foreign Affairs and Trade at ANU in 1995. The commissioner works closely with the Threatened Species Scientific Committee and makes use of the committee’s knowledge and expertise. Samantha Vine (Head of conservation, BirdLife Australia). These expert advisers will play a key role in connecting the commissioner with the best available scientific knowledge and best-practice conservation. The terms of reference outline the responsibilities of the Threatened Species Commissioner. The NSW Chief Scientist Mary O’Kane has recommended in her report  that a comprehensive monitoring program be developed to measure water contamination and loss resulting from longwall coal mining in the drinking water catchment for Sydney’s population of more than 4 million. “Professor O'Kane’s report acknowledges coal mining is having negative long-term impacts on Sydney’s drinking water, yet her main recommendation in response to this threat is simply to improve data collection,” NCC Chief Executive Officer Kate Smolski said. Professor O’Kane’s review found that water contaminated by mining could be treated to make it fit for drinking, and recommended upgrading infrastructure to enable this to occur. “We believe this is an irresponsible way to manage such a precious resource for more than 4 million people,” Ms Smolski said. Ms Smolski said state planning laws put the interests of coal mining companies ahead of citizens. “The government is continuing to approve these types of development against the advice of the Sydney Catchment Authority , the that was body set up to ensure Sydney has a safe, clean and reliable water supply,” Ms Smolski said. Now amalgamated with the State Water Corporation to form a new entity, Bulk Water NSW. The Bali Beach Clean Up Program established in 2008 by Quiksilver and Coca-Cola to help reduce the amount of garbage on the Bali coastline, has removed over fourteen million kilograms of garbage from five participating beaches. This year the Bali Big Eco Weekend featured the 2nd Annual Quiksilver Uluwatu Challenge. Thirty-two participants surfed against local Balinese pros and surfing legends from Quiksilver and Roxy, including Mark Richards, Matt Hoy, Jake Paterson, Craig Anderson, Sally Fitzgibbons, Kelia Moniz, Bruna Schmitz and Rosy Hodge. The winner of this year's event with an overall highest score of a perfect 10 as well as a 9.5 was American Freddy Patacchia. 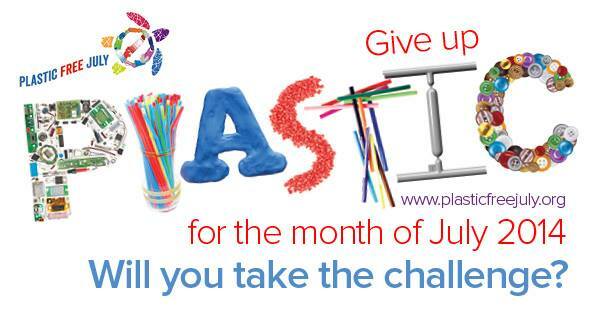 Plastic Free July - Take the Challenge! The Great Kola Count - The Koala Count results are in! The report records more sightings on private land then public reserves; indicating the loss of habitat and fragmentation, compounded by being struck by vehicles, attacked by dogs and cats, chronic stress, as well as loss of weight due to loss of food trees and instances of Chlamydia are combining to prevent an increase in our koala populations. Only one area, Port Stephens, recorded an increase in koala numbers. NSW landowners now have access to fine details about what’s in their soil without lifting a shovel or stepping outside, through the NSW Government’s new online soil mapping database eSPADE. NSW Office of Environment (OEH) Acting Director of Science Greg Summerell said eSPADE for the first time places detailed soil landscape mapping covering 60 per cent of the state into an interactive online environment. “The soil landscape information provides a compendium of natural resource information that describes not only soil and landscape features— such as geology, topography, native vegetation and soil type - but also information about the capability of the land and the fertility of its soils,” Mr Summerell said. “eSPADE is a new internet based information system that allows free, easy map based access to soil and land information from across NSW. eSPADE uses Google Maps to display information from the NSW soils database SALIS (Soil and Land Information System), which is managed by the NSW Office of Environment and Heritage (OEH). It makes available detailed soil landscape mapping covering about 509,000 square kilometres of NSW and almost 40,000 profile descriptions. It is valuable information used by everyone from individual farmers planning how to best use their cropping land and agencies carrying out fauna and vegetation surveys to large scale land use planning such as the revised Mining SEPP gazetted in January this year. “With both desktop and mobile versions it is a significant leap forward in the accessibility if nature resource information in NSW, which before was only available by buying maps and reports in hard copy or DVD,” Mr Summerell said. July 2, 2014 - Australian scientists have identified the genes in wheat that control tolerance to a significant yield-limiting soil condition found around the globe - boron toxicity. Published in the journal Nature today, the identification of boron tolerance genes in wheat DNA is expected to help plant breeders more rapidly advance new varieties for increased wheat yields to help feed the growing world population. The researchers, from the Australian Centre for Plant Functional Genomics at the University of Adelaide's Waite campus within the University's School of Agriculture, Food and Wine, say that in soils where boron toxicity is reducing yields, genetic improvement of crops is the only effective strategy to address the problem. "About 35% of the world's seven billion people depend on wheat for survival," says project leader Dr Tim Sutton. "However productivity is limited by many factors such as drought, salinity and subsoil constraints including boron toxicity. "In southern Australia more than 30% of soils in grain-growing regions have too high levels of boron. It's also a global problem, particularly in drier grain-growing environments. Boron tolerant lines of wheat, however, can maintain good root growth in boron toxic soils whereas intolerant lines will have stunted roots. "Our identification of the genes and their variants responsible for this adaptation to boron toxicity means that we now have molecular markers that can be used in breeding programs to select lines for boron tolerance with 100% accuracy." Dr Sutton says wheat has been difficult to work with in genomics. The wheat genome is very large, with about six times the number of genes as humans. This complexity has meant that genes controlling yield and adaptation to environmental stresses have remained extremely challenging to identify. "Advances in molecular biology and genetics technologies of the past few years, coupled with the extensive collections of wheat genetic material available around the world, have paved the way for a new era in the analysis of complex genomes such as wheat," he says. In this study, the researchers tracked these specific boron tolerance genes from wild wheats grown by the world's earliest farmers in the Mediterranean region, through wheat lines brought into Australia more than a century ago, to current day Australian commercial varieties. They found a distinct pattern of gene variant distribution that was correlated to the levels of boron in soils from different geographical regions. "This discovery means that wheat breeders will now have precision selection tools and the knowledge to select for the right variants of the tolerance gene needed to do the job in specific environments," says Dr Sutton. Alex was born in Lithgow on August 1, 1909, he began his bush walking adventures as a little boy on family picnics in the Gardens of Stone region around his home. He joined the Sydney Bush Walkers Club in 1936 and soon became one of the club’s stalwart members taking up several executive positions for a period that totalled sixty years. The UWS Hawkesbury Foundation is establishing an endowed symposia series to recognise Alex’s life and achievements and to continue his focus on wilderness preservation and the environment. Alex attended the then Hawkesbury Agricultural College from 1926–1928 and received his Hawkesbury Diploma of Agriculture. 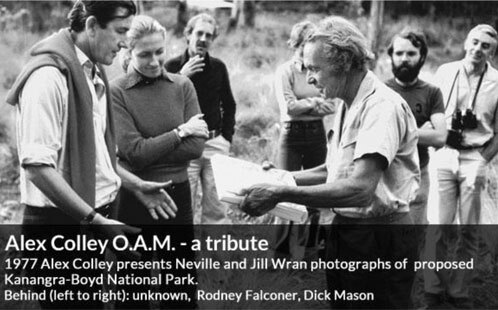 He greatly enjoyed his years at HAC and did some of his early bushwalks from the campus into the Blue Mountains. He used his skills as an economist and his knowledge from his HAC days to develop his policy briefs and campaigns. Working with the Colong Foundation (opens in new window) for Wilderness, his most notable achievement was the Greater Blue Mountains World Heritage Area. Sticky snakeroot, Mexican devil or Crofton weed - call it what you want - since the early 1900s this weed has been causing grief in Australia. But now the release of a new biological control agent brings some hope. The tenacious and troublesome Crofton weed (Ageratina adenophora), as it is commonly known, has been running rampant in eastern coastal Australia since it 'escaped' from being an ornamental plant in Sydney gardens. It has taken hold on Lord Howe Island, a World Heritage Area, where it is found mainly in non-accessible areas, making manual removal and herbicide control impractical. Crofton weed is a serious environmental weed that has invaded agricultural lands as well as 150 reserves in NSW managed by the National Parks and Wildlife Service. It reduces the ecological value of bush land but also affects grazing land on farms by diminishing their carrying capacity. The weed spread rapidly during the 1940s and 1950s creating dense infestations, particularly along waterways and disturbed areas, inhibiting native regeneration and threatening several vulnerable or endangered native species and communities, including those on Lord Howe Island. The new biological control agent is a rust fungus that originates from Mexico (where Crofton weed is native) and works by infecting the young leaves and stems of the plant, stunting development and disrupting its ability to reproduce. Dr Louise Morin, plant pathologist from CSIRO's Biosecurity Flagship, is leading the Crofton weed rust fungus release program. "The release of this fungus in Australia is exciting because it could make a big difference in the management of Crofton weed populations," Dr Morin said. 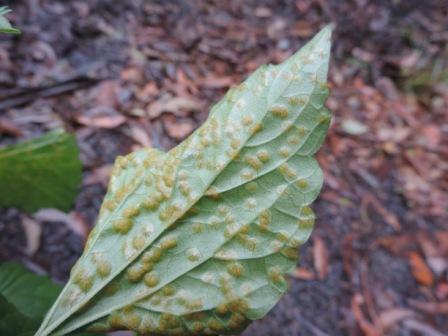 "Other rust fungi of weeds, such as those introduced previously for the biological control of bridal creeper and rubber vine, have proved to be very effective tools to manage these weeds of national significance." The new fungus agent, commonly referred to as Crofton weed rust fungus but scientifically known as Baeodromus eupatorii, has been proved safe for introduction in tests performed by CSIRO and its release in Australia has been approved by all the relevant government authorities. The first experimental releases are underway this winter, in partnership with the NSW National Parks and Wildlife Service, at various sites across the NSW South Coast region where Crofton weed is dominant. "We believe the cool and wet conditions that prevail during winter on the NSW coast will be perfect for the Crofton weed rust to establish readily after release," Dr Morin said. "Once established in the environment, we're confident this biological control agent will be self-sustaining, self-disseminating via wind currents, and become a long-term management solution without the need for the rust fungus to be reapplied year after year. "This type of biocontrol option is environmentally friendly, cost effective and likely to offer permanent suppression, so it's regarded as the best solution to manage a range of invasive species." The Australian Maritime College’s flagship training vessel Bluefin lined up with the big fish when it docked alongside icebreakers Aurora Australis and L’Astrolabe on Hobart’s waterfront. It was a rare occasion to see the three research vessels in a row and it was also the first time that Bluefin had berthed outside her “southern home” at the new Institute of Marine and Antarctic Studies building on Princes Wharf No. 2. Bluefin had just returned from a research trip using an autonomous underwater vehicle to survey shallow to deep reef habitats along the east coast of Tasmania. IMAS researcher Neville Barrett said the survey was part of the ongoing description and discovery of the biota of these habitats under the Integrated Marine Observing System program. “The aim is to observe and document longer term changes in the biota of these habitats due to things like urchin grazing, climate change, storms and the effects of fishing,” he said. “It’s an ongoing project in collaboration with the University of Sydney that annually surveys a large number of locations along the north-east to south-east coasts of Tasmania. The data obtained flows into research projects within the National Environmental Research Program (NERP) Biodiversity Hub and the Australian Research Council Super Science scheme. Bluefin is now waiting to undertake the next research cruise to the Tasman Fracture Commonwealth Marine Reserve that extends across the continental shelf south or Maatsuyker Island. “In the first phase of a NERP Marine Biodiversity Hub study, we are planning to map an extensive area of the shelf component of the reserve using a high resolution multibeam sonar system provided by CSIRO and operated by national facility staff,” Dr Barrett said. Meanwhile, while Bluefin is awaiting this charter to commence, she will be undertaking a number of student training missions from the wharf in Hobart, marking a change of scenery from her usual home at Beauty Point. (Pictured): Bluefin docked outside IMAS; and three research vessels lined up in a row - Bluefin, Aurora Australis and L'Astrolabe. Photo: Neville Barrett. The Pacific Highway upgrade has reached a major milestone today, with the NSW Government announcing today that planning approval had been given for the final section of the highway to be duplicated. Acting NSW Premier Andrew Stoner, Minister for Planning Pru Goward and Roads Minister Duncan Gay announced that NSW planning approval had been given for the Woolgoolga to Ballina Pacific Highway upgrade. This approval will allow the next stages of early work to start while the Australian Government Department of the Environment considers the overall project. Mr Stoner said this was the last link of highway to be upgraded to dual carriageway between Hexham and the Queensland border, comprising the duplication of 155 kilometres of road between Woolgoolga and Ballina on the NSW North Coast. “The NSW Government is working with the Australian Government and getting on with the job of delivering the Pacific Highway upgrade,” Mr Stoner said. “This is one of Australia’s busiest roads, carrying up to 12,000 vehicles per day in this section alone, and is the final link in the provision of the modern, upgraded road linking Melbourne, Sydney and Brisbane following completion of the Hume Highway last year. “Since the Pacific Highway upgrade program started, fatalities on the highway have more than halved – from 42 in 1996 to 20 in 2013, but there is still more work to do. “The new alignment will take trucks out of town centres and villages like South Grafton, Ulmarra, Woodburn, Broadwater and Wardell and put them safely on to a dual carriageway. “The Australian and NSW Governments have committed to completing the upgrade of the Pacific Highway to a dual carriageway by the end of this decade,” he said. The Woolgoolga to Ballina upgrade will be delivered under an innovative model used in the London Olympics, tailored to meet the specific needs of this major project. Under this new model, a major provider with design, construction and management expertise will be engaged to oversee the project in collaboration with Roads and Maritime’s Pacific Highway Office, managing multiple contracts for professional services, supply, and building of the actual work. The delivery partner will be expected to provide economies of scale and improved efficiencies over the 155km of highway upgrade. Mr Stoner said the upgrade would improve the economic competitiveness of the North Coast. “The upgrade is estimated to inject $5.3 billion into the State’s economy and providing a peak of about 2,500 direct jobs and 6,500 indirect jobs in the broader community,” Mr Stoner said. Ms Goward said that an extended consultation period had been held during the exhibition of the environmental impact statement to ensure that the communities had an opportunity to comment on the route and concept design of the upgraded highway. “The route has been selected with care and a great deal of consultation to maximise the economic benefits and safety improvements and minimise impacts,” Ms Goward said. 40 bridges over waterways and floodplains, including major crossings of the Clarence and Richmond Rivers• Five driver rest areas with toilets and picnic amenities. 55 underpasses and overpasses for local road and property access across the new highway. The project begins about six kilometres north of Woolgoolga and ends about six kilometres south of Ballina. Roads Minister Duncan Gay said tenders for the first 26km section between Woolgoolga and Glenugie and soft soil stabilisation work will be called in coming weeks, utility relocation and other early work is due to start in August and major building on the overall upgrade is expected to start in early 2015. “About 58 per cent or 381 kilometres of the full length of the highway between Hexham and the Queensland border is now dual carriageway with another 80 kilometres currently under construction,” Mr Gay said. “The entire project is expected to be completed by 2020,” he said. Have you got a spare 20 minutes once a week to monitor your birdbath in winter and summer? National Parks Association of New South Wales in partnership with BirdLife Australia’s Birds in Backyards Program and The University of Sydney proudly presents a citizen science initiative: Bathing Birds. With this exciting initiative we will be exploring which birds are using birdbaths, how it changes between seasons and how our gardening habitats are influencing which birds are present. The winter Bathing Birds survey starts on Friday the 27th of June and finishes on Sunday the 27th of July. During this period we would like you to record what birds visit your birdbath for a 20 minute period, up to 3 times a week. Step 3: Record your bathing birds sightings! 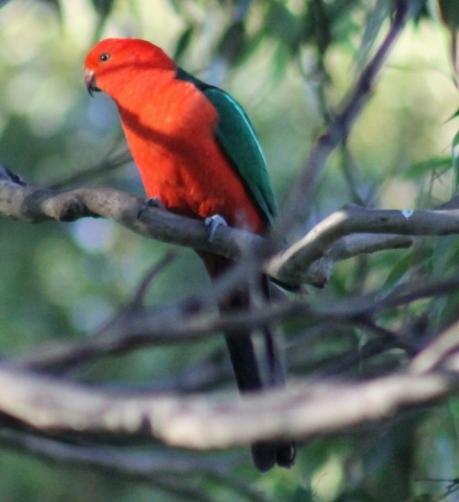 Top: male King Parrot, taken 2.7.2014 by A J Guesdon. July 2, 2014 - A new study estimating population genetic structure of little-known dolphins inhabiting Western Australia's north coast highlights vulnerability, according to a study published in the open-access journal PLOS ONE by Alex Brown from Murdoch University and colleagues. Australian snubfin and humpback dolphins occur throughout tropical coastal waters of northern Australia, but little is known of their abundance or life history characteristics because of their remote range. "Both snubfin and humpback dolphins are listed as 'near threatened' by the IUCN, but the lack of information about them has prevented a comprehensive assessment of their conservation status," Alex said. "The few studies conducted to date suggest that they occur in small populations that are dependent on the coastal environment and are, therefore, sensitive to coastal habitat modification." Large-scale industrial development is occurring across north-western Australia, resulting in modification to coastal habitats through dredging, construction and increased shipping. With so little data on coastal dolphins in this region, the potential impact of these developments remains unknown. Using small tissue samples collected with a dart, the researchers compared the genetic characteristics of two populations of each species -- snubfin dolphins from Roebuck Bay and Cygnet Bay in the Kimberley region and humpback dolphins from the North West Cape and the Dampier Archipelago in the Pilbara. "Results showed that there wasn't much mixing between the populations," Alex said. "They are fairly isolated, with low levels of gene flow between populations separated by about 300 km of coastline." "Existing as a series of small populations with limited gene flow, they are more vulnerable to environmental change and localised extinctions compared to a single, larger population," explained senior author Dr. Celine Frère of the University of the Sunshine Coast. The researchers are urging management agencies to treat the dolphin populations as small, discrete fragments and to preserve corridors for individuals to travel between populations. In another first, Alex documented the first recorded hybrid between a humpback and snubfin dolphin. "We were at first puzzled by this unusual looking dolphin," said Alex. Genetic analysis revealed it to be the offspring of a snubfin dolphin mother and humpback dolphin father. 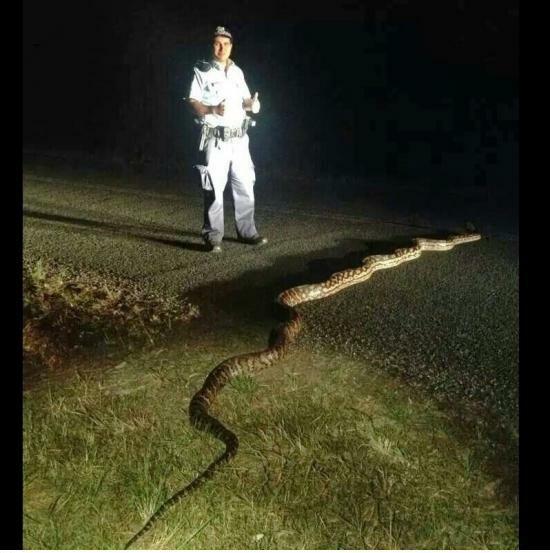 "It really highlights how little we know about these animals," he added. United Nations - About one billion people rely on seafood as a primary source of animal protein. Projects led by the International Atomic Energy Agency, or IAEA, are using nuclear and isotopic techniques to examine how marine organisms might respond to future ocean acidification caused by harmful carbon dioxide emissions- protecting our marine species, livelihoods, and economy in the process. The University of Western Sydney has been awarded over $2.3 million in Australian Research Council (ARC) funding to find solutions to some of our nations biggest environmental, social, health and infrastructure challenges. Diverse topics ranging from improving the health of one of our most beloved but endangered national icons, the koala, to implementing early-childhood language programs to help Indigenous children with hearing difficulties in remote northern Australia will be investigated over the next three years. Researchers in the cognitive sciences, environmental science and management, civil engineering, zoology and psychology are involved in a total of seven projects to receive prestigious ARC Linkage funding, recently announced by the Federal Minister for Education, Christopher Pyne. Many of the projects will be led by researchers from the University's world-class research institutes. Importantly, the Linkage grants will also further the Universitys collaborations with research partners from across industry, business, as well as government and non-government organisations, and other universities. UWS Deputy-Vice Chancellor (Research and Development), Professor Scott Holmes, says the outcomes of these grants will contribute to Australias future productivity. This funding announcement is testament to the dedication of our researchers and the quality of their work, and I congratulate them and our partner organisations on their success in securing what are highly-competitive research grants, says Professor Holmes. The University has worked hard to nurture its highly-regarded fields of research expertise and has developed world-class facilities to deliver relevant research outcomes that make a positive impact on both our nations economic prosperity and our quality of life. June 30, 2014 – Ice fronts from the early 19th century were far more advanced around the Arctic than they are today, researchers analysing whalers’ log books from this time have discovered. The findings have been revealed as part of the ARCdoc research project, led by the University of Sunderland, which analyses historical logbooks recorded by explorers, whalers and merchants during epic expeditions, between 1750 and 1850. The project aims to increase our scientific understanding of climate change in this environmentally important region. The logbooks include famous voyages such as Parry's polar expedition in HMS Hecla and Sir John Franklin's lost journey to navigate the Northwest Passage. Some of the most significant data to emerge from the project has come from painstaking analysis of 60 log books belonging to whaling vessels, which contain descriptions of sea ice advancing and retreating every summer, all of which were recorded by whalers who ventured farther north than anyone else. Phd Student Matthew Ayre has mapped what the ice was doing during that 100 year period, around the Davis Straits area, and at a time pre-dating the emergence of anthropogenic greenhouse gases in the atmosphere. A comparison with satellite data from the last 30 years of this area shows the ice was far more advanced than it is today. Dr Dennis Wheeler said: "Significantly this is the first time we have ever had direct observational information on the ice fronts in the North Atlantic and Davis Straits area before 1900. Until the introduction of satellite information from the 1970s, we didn't know what the ice was doing. Well, now we know that it was more advanced, therefore the retreat of the ice in the last 30 years is part of a more recent and new pattern of climate change, so these log books contain absolutely vital climatologically information. "We've only focussed on the North Atlantic and Davis Straits area which is a key driver in the global climatic system, and we have evidence of significant changes in frequency of rain, gales and snow. "As a result of this data, you can begin to build up a clearer picture of climate change, before human impact begins to exercise any control on the global climate, this is the Arctic under natural weather conditions. "We now need to ask some significant questions based on this empirical data of climate variation - what is driving this, is it solar influences, volcanoes or internal changes in oceanic circulation? Those answers could give us the key to understanding the climate of the past and that means if you want to predict the future climate, you can do so with a little bit more confidence than we do now." To understand how the data relates to today's ice cover decline, Matthew Ayre had to translate the whalers' archaic terminology into the first ever sea ice dictionary in standard 21st Century observational vocabulary. To do this he has traced every sea ice definition in UK history from satellite data of the last three decades, to the accounts of renowned Arctic explorer, scientist and Whitby whaler William Scoresby Jnr (1789-1857). Scoresby wrote an account of the Arctic regions and also deciphered some of the log books' terminology. Matthew was also able to validate his data and the accuracy of his dictionary on board the Coast Guard Cutter Healey, a research vessel and the US's only operating polar ice breaker, where he spent five weeks recording what was happening to the ice. Matthew explained: "I was making observations every four hours on board Healey, using Scoresby's definitions, comparing them to my dictionary and the Healy researchers' own daily records, testing how accurate our data is to validate what is in the sea ice dictionary." He added: "Apart from modern-day research vessels, these are the only books in history from ships which seek out the ice edge in great detail and follow it. They describe various type of ice from 'loose' to 'heavy'; using this data I was able to map the ice edge, which has never been done before in any great detail because it melts and freezes every year. 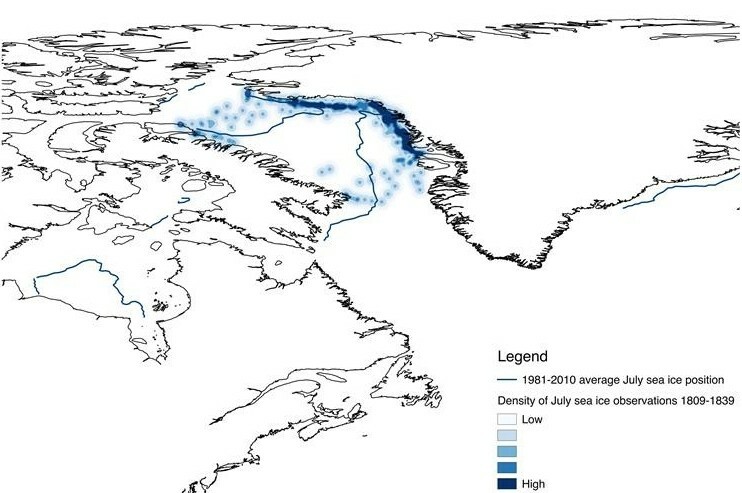 For example we found that if you work your way through the months August to September which is the time of maximum melt, data shows in Baffin Bay, there was a persistent feature of middle ice in the early 19th century, which is not there today." The log books of up to 20 whaling voyages were analysed, including records from a fleet owned by the Newcastle-based Palmer family and data from the Hudson Bay Company, one of the oldest commercial companies in the world. Researchers believe as well as climatological data, the logbooks will be of great interest to those academics working on the social and economic history of whaling. The three-year project has been funded by the Leverhulme Trust, led by Dr Dennis Wheeler, in collaboration with the Scott Polar Research Institute, The MET Office Hadley Research Centre and Hull University's Maritime Studies Unit. The above story is based on materials provided by University of Sunderland. The world's largest naval exercise, Exercise Rim of the Pacific (RIMPAC) was officially opened Monday, 30 June in Hawaii, with three Australian Defence Force officers in senior command positions. Royal Australian Navy Rear Admiral Simon Cullen is the Deputy Commander of the Combined Task Force, Royal Australian Air Force Air Commodore Chris Westwood is the Combined Forces Air Component Commander and Royal Australian Navy Commodore Peter Leavy is the Expeditionary Strike Group Commander. This is the first time that Australians have been appointed to these command positions. Since 1926, we have played a major role in making Australia's primary industries amongst the most competitive in the world. But, in recent years, the structure of world economics has changed radically. One of our major aims today is to develop new areas of expertise to meet the challenges of the world revolutions in technology and information systems. CSIRO is now, more than ever before, designing its programs around the specific needs of Australia's industries and the welfare of the Australian community. UNSW Masters student Madeline Heiner is limbering up for the 3000m steeplechase at the Commonwealth Games in Glasgow, Scotland. The 27-year-old is returning to athletics after an eight-year break from competitive racing. She is currently in Cologne, Germany in the build-up to the Games, which begin on 23 July. “I am incredibly excited to be in the Australian team for these Commonwealth Games. Preparation is going very well. I recently competed in the Launceston 10km race where I won the race with the fastest time in Australia this year,” Madeline says. Madeline works as a pharmacist in Wollongong and is currently studying a Masters of International Public Health and Health Management at UNSW. She says she has always had a desire to work in health on a community level. “As a result of my travels, I have developed a particular interest in working towards global health care equality and improving the health outcomes of those faced with limited opportunities and resources. “I think that interventions targeted to populations rather than individuals present a powerful avenue for positive change,” she says. Madeline has been supported in her studies by an Elite Athlete Sports Scholarship, which she says has been of great assistance, particularly in the lead-up to the games. “I feel very fortunate for the support I have received over the last nine months that has allowed my return to the sport to be a smooth, successful and incredibly enjoyable process,” says Madeline. Two other Australian Commonwealth Games competitors have links with UNSW. Former UNSW student andBen Lexen Scholar Luke Davison will compete in cycling and UNSW Judo Club member Amy Meyer will compete in the women’s under-48kg division. Applications for admission to UNSW’s Elite Athletes and Performers program in 2015 will open on Monday, 18 August.Follow Madeline’s achievements via her twitter account @madheiner. June 30, 2014 - Sharks were a tolerant bunch some 50 million years ago, cruising an Arctic Ocean that contained about the same percentage of freshwater as Louisiana's Lake Ponchatrain does today, says a new study involving the University of Colorado Boulder and the University of Chicago. The study indicates the Eocene Arctic sand tiger shark, a member of the lamniform group of sharks that includes today's great white, thresher and mako sharks, was thriving in the brackish water of the western Arctic Ocean back then. In contrast, modern sand tiger sharks living today in the Atlantic Ocean are very intolerant of low salinity, requiring three times the saltiness of the Eocene sharks in order to survive. "This study shows the Arctic Ocean was very brackish and had reduced salinity back then," said University of Chicago postdoctoral researcher Sora Kim, first author on the study. "The ancient sand tiger sharks that lived in the Arctic during the Eocene were very different than sand tiger sharks living in the Atlantic Ocean today." The findings have implications for how today's sharks might fare in a warming Arctic region, which is heating up at about twice the rate of the rest of the planet due to increasing greenhouse gases, said CU-Boulder geological sciences Associate Professor Jaelyn Eberle, a study co-author. The potential consequences of warming in the Arctic include changes in freshwater runoff and atmospheric water vapor and decreases in salinity that can affect marine biology and seawater circulation dynamics. "As more freshwater flows into the Arctic Ocean due to global warming, I think we are going to see it become more brackish," said Eberle, also curator of fossil vertebrates at the University of Colorado Museum of Natural History. "Maybe the fossil record can shed some light on how the groups of sharks that are with us today may fare in a warming world." A paper on the subject was published online June 30 in the journal Geology. Other co-authors include David Bell from the University of Wyoming, Dewayne Fox from Delaware State University and Aspen Padilla, a CU-Boulder graduate who worked with Eberle as a master's candidate. The study was funded in part by the National Science Foundation. The new findings on Arctic Ocean salinity conditions in the Eocene were calculated in part by comparing ratios of oxygen isotopes locked in ancient shark teeth found in sediments on Banks Island in the Arctic Circle and incorporating the data into a salinity model. The team also compared its information to prior studies of sediment cores extracted from an oceanic region in the central Arctic Ocean called the Lomonosov Ridge - a steep hump of continental crust that rises more than 1,000 feet from the ocean floor - to estimate past environmental conditions in the Arctic Ocean. "Oxygen isotopes in ancient bones and teeth reflect the water animals are living in or drinking," said Kim, a former postdoctoral researcher at the University of Wyoming. "Because sharks are aquatic, the oxygen from the ocean is constantly being exchanged with oxygen in their body water, and that's what is incorporated into their teeth. When I analyzed their isotopic composition, the numbers seemed weird at first because they indicated an essentially freshwater environment." The team analyzed 30 fossil sand tiger shark teeth exhumed from Banks Island and 19 modern sand tiger shark teeth from specimens caught in Delaware Bay bordered by Delaware and New Jersey. The paleo-salinity estimate for the modern sand tiger sharks is consistent with the continental shelf salinity present from Delaware south to Florida and from the coastline to roughly six miles offshore, known hunting grounds for modern sand tiger sharks, which have formidable teeth and can reach a length of nearly 10 feet. The Eocene Epoch, which ran from about 56 to 34 million years ago, was marked by wild temperature fluctuations, including intense greenhouse periods when lush rainforests abounded in the Arctic. Previous studies by Eberle and colleagues showed the fauna there included ancestors of tapirs, hippo-like creatures, crocodiles and giant tortoises. Despite the six months of darkness each year, the terrestrial Arctic climate included warm humid summers and mild winters with temperatures ranging from just above freezing to about 70 degrees Fahrenheit. "We now know a fair amount about the terrestrial animals and plants that were living in the Eocene Arctic greenhouse period," said Eberle. "To finally get some data on the Eocene marine environment using these shark teeth will help us to begin filling in the gaps." Eberle said the Eocene Arctic Ocean was largely isolated from the global oceans. "Increased freshwater runoff from the land due to an intensified hydrologic cycle and a humid Arctic would have turned it more brackish pretty quickly," she said. The salinity gradient across the Eocene Arctic Ocean that provided habitat for the ancient sand tiger sharks also was found to be much larger than the salinity gradient tolerated by modern sand tiger sharks living in the Atlantic Ocean, said Eberle. "The Eocene lamniform group of sharks had a much broader environmental window than lamniform sharks do today." Eberle and Kim said the early-middle Eocene greenhouse period from 53 to 38 million years ago is used as a deep-time analog by climate scientists for what could happen on Earth if CO2 and other greenhouse gases in Earth's atmosphere continue to rise, and what a "runaway" greenhouse effect potentially could look like. 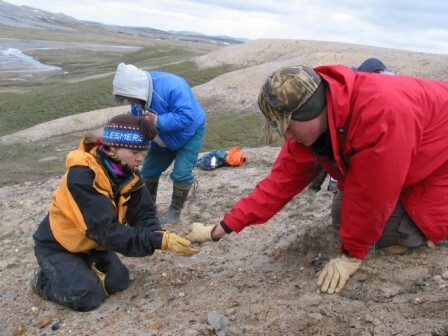 "Through an analysis of fossil sand tiger shark teeth from the western Arctic Ocean, this study offers new evidence for a less salty Arctic Ocean during an ancient 'greenhouse period,' " says Yusheng "Chris" Liu, program director in the NSF's Division of Earth Sciences, which co-funded the research with NSF's Division of Polar Programs. "The results also confirm that the Arctic Ocean was isolated during that long-ago time." Kangaroos may be nature's best hoppers, but when they are grazing on all fours – which is most of the time – their tail becomes a powerful fifth leg, new research shows. While such activity appears awkward, it turns out that the tails of red kangaroos provide as much propulsive force as their front and hind legs combined, as they eat their way across the landscape. The new study, published in Biology Letters, is by an international team that includes UNSW’s Emeritus Professor Terry Dawson, who has studied kangaroos at the university’s Fowlers Gap Arid Zone Research Station near Broken Hill for more than 50 years. The study was led by researchers at the University of Colorado, Boulder, in the US, and the Simon Fraser University in Burnaby, Canada. "Kangaroos are really special mammals. Work over the past half century has turned the notion that they belong to an inefficient, primitive group of mammals totally on its head,” says Professor Dawson. Red kangaroos are the largest of the kangaroo species in Australia. When grazing on grasses, they move both hind feet forward as a pair, while using their tails and front limbs together to support their bodies. For the study, the team videotaped five red kangaroos in Professor Dawson's Sydney laboratory that had been trained to walk forward on a force-measuring platform with Plexiglas sides. The platform's sensors measured vertical, backward and forward forces from the legs and tails of the animals. "We found that when a kangaroo is walking, it uses its tail just like a leg," says study co-author, Associate Professor Maxwell Donelan of Simon Fraser University. "They use it to support, propel and power their motion. In fact, they perform as much mechanical work with their tails as we do with one of our legs." Study co-author, Associate Professor Rodger Kram of the University of Colorado, says: “We went into this thinking the tail was primarily used like a strut, a balancing pole, or a one-legged milking stool. What we didn't expect to find was how much power the tails of the kangaroos were producing. It was pretty darn surprising." Professor Dawson says the muscles in the tail and hind legs are highly aerobic, with a lot of mitochondria – the power houses in cells that provide energy. The muscles of the front legs, however, have few mitochondria. “They're not organised for propulsion, so instead of the tail being the strut, the front legs were filling that role," he told ABC Science. “I can now understand where that energy goes and why, if they're going to walk more than 5 metres, they get up and hop instead." The $3 billion California Institute for Regenerative Medicine, the world's largest stem cell research agency, is funded by the state - not the federal government. We asked fans on their way to a baseball game near CIRM's headquarters whether they'll approve $5 billion more for the research. 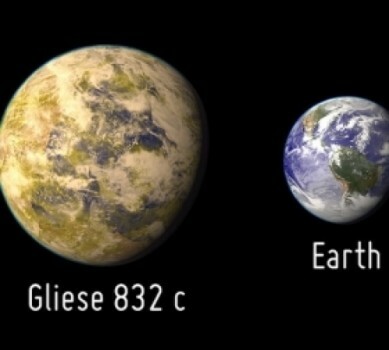 June 30, 2014 – A UNSW-led team of researchers has discovered a potentially habitable Earth-like planet that is only 16 light years away. The "super-Earth" planet, GJ 832 c, takes 16 days to orbit its red-dwarf star, GJ 832, and has a mass at least five times that of Earth. It receives about the same average stellar energy as Earth does, because red dwarfs shine more dimly than our Sun, and may have similar temperatures to our planet. These characteristics put it among the top three most Earth-like planets, according to the Earth Similarity Index developed by scientists at the University of Puerto Rica in Arecibo. The international team, led by Dr Robert Wittenmyer in the UNSW School of Physics, report their finding of the planet online ahead of publication in theAstrophysical Journal. Team member and Head of UNSW's Exoplanetary Science research group, Professor Chris Tinney, says that if the planet has a similar atmosphere to Earth it may be possible for life to survive, although seasonal shifts would be extreme. "However, given the large mass of the planet, it seems likely that it would possess a massive atmosphere, which may well render the planet inhospitable. A denser atmosphere would trap heat and could make it more like a super-Venus and too hot for life," says Professor Tinney. The planet was discovered from its gravitational pull on its parent star, which causes the star to wobble slightly. Members of the Anglo-Australian Planet Search team used the Anglo-Australian Telescope to make observations of the planet. Their data were combined with observations from the 6.5m Magellan Telescope and the European Southern Observatory 3.6m telescope (both in Chile) to make this new discovery. This team had previously found, in 2009, that the star has a cold Jupiter-like planet with a near-circular orbit of about nine years, called Gliese GJ b. "With an outer giant planet and an interior potentially rocky planet, this planetary system can be thought of as a miniature version of our Solar System," says Professor Tinney. Next on the list is Kepler-62 e with an ESI of 0.83, although it is much further away - about 1,200 light years distant. And the new planet - the closest at just 16 light years away - comes in third with an ESI of 0.81. For comparison, the Milky Way is about 100,000 light years across. The team includes researchers from Australia, the UK, Finland, the US, Italy and Chile. Innovative research on health technologies has won UNSW’s Professor Johanna Westbrook the title of ICT Professional of the Year at the NSW iAwards. Professor Westbrook heads Australia’s largest health informatics evaluation research team, the Centre for Health Systems and Safety Research at the Australian Institute of Health Innovation. Her work focuses on communication and technology in health care, and includes more than 200 publications on issues as diverse as electronic medication records management and the impact on interruptions and multi-tasking on medical practice. The prize puts Professor Westbrook in the running for the national iAwards to be held in Melbourne on August 29. Software company Atlassian, the brainchild of UNSW alumni Mike Cannon-Brookes and Scott Farquhar, is also a national finalist after winning NSW gongs for next new product and tools. UNSW-affiliated NICTA – Australia’s ICT research centre of excellence – won the Industrial iAward. The industry-judged iAwards recognise outstanding achievements in the ICT sector. For more information visit the iAwards website. Researchers have made a giant leap towards the goal of 'bio-printing' transplantable tissues and organs for people affected by major diseases and trauma injuries, a new study reports. Scientists from the Universities of Sydney, Harvard, Stanford and MIT have bio-printed artificial vascular networks mimicking the body's circulatory system that are necessary for growing large complex tissues. "Thousands of people die each year due to a lack of organs for transplantation," says study lead author and University of Sydney researcher, Dr Luiz Bertassoni. "Many more are subjected to the surgical removal of tissues and organs due to cancer, or they're involved in accidents with large fractures and injuries. "Imagine being able to walk into a hospital and have a full organ printed - or bio-printed, as we call it - with all the cells, proteins and blood vessels in the right place, simply by pushing the 'print' button in your computer screen. "We are still far away from that, but our research is addressing exactly that. Our finding is an important new step towards achieving these goals. "At the moment, we are pretty much printing 'prototypes' that, as we improve, will eventually be used to change the way we treat patients worldwide." Cells need ready access to nutrients, oxygen and an effective 'waste disposal' system to sustain life. This is why 'vascularisation' - a functional transportation system - is central to the engineering of biological tissues and organs. "One of the greatest challenges to the engineering of large tissues and organs is growing a network of blood vessels and capillaries," says Dr Bertassoni. "Cells die without an adequate blood supply because blood supplies oxygen that's necessary for cells to grow and perform a range of functions in the body." "To illustrate the scale and complexity of the bio-engineering challenge we face, consider that every cell in the body is just a hair's width from a supply of oxygenated blood. "Replicating the complexity of these networks has been a stumbling block preventing tissue engineering from becoming a real world clinical application." But this is what researchers have now achieved. Using a high-tech 'bio-printer', the researchers fabricated a multitude of interconnected tiny fibres to serve as the mold for the artificial blood vessels. They then covered the 3D printed structure with a cell-rich protein-based material, which was solidified by applying light to it. Lastly they removed the bio-printed fibres to leave behind a network of tiny channels coated with human endothelial cells, which self organised to form stable blood capillaries in less than a week. The study reveals that the bioprinted vascular networks promoted significantly better cell survival, differentiation and proliferation compared to cells that received no nutrient supply. According to Dr Bertassoni, a major benefit of the new bio-printing technique is the ability to fabricate large three-dimensional micro-vascular channels capable of supporting life on the fly, with enough precision to match individual patients' needs. "While recreating little parts of tissues in the lab is something that we have already been able to do, the possibility of printing three-dimensional tissues with functional blood capillaries in the blink of an eye is a game changer," he says. "Of course, simplified regenerative materials have long been available, but true regeneration of complex and functional organs is what doctors really want and patients really need, and this is the objective of our work. Watch bio-printing in action below. 3D Printing at BWH from BWH Public Affairs on Vimeo. June 30, 2014 - Scientists have found that eating almonds in your diet can reduce the risk of heart disease by keeping blood vessels healthy. Research found that they significantly increase the amount of antioxidants in the blood stream, reduce blood pressure and improve blood flow. These findings add weight to the theory that Mediterranean diets with lots of nuts have big health benefits. The study was led by Professor Helen Griffiths, Professor in Biomedical Sciences and Executive Dean of the School of Life and Health Sciences at Aston University in Birmingham, UK. Researchers tested the effects of a short-term almond-enriched diet on healthy young and middle-aged men as well as on a group of young men with cardiovascular risk factors including having high blood pressure or being overweight. A control group ate what they normally would, while another group consumed snacks of 50g of almonds a day for one month. At the end of the study period, the group eating an almond-enriched diet had higher levels of antioxidants (alpha-tocopherol) in their blood stream, improved blood flow and lower blood pressure, potentially reducing their risk of heart disease. Almonds are known to contain a range of beneficial substances such as vitamin E and healthy fats, fibre which increases the sense of fullness, and flavonoids which may have antioxidant properties. The team believes it is likely to be the combination of all these nutrients working together to create the overall health benefits rather than just one particular nutrient in isolation. Professor Griffiths said: "Our study confirms that almonds are a superfood. Previous studies have shown that they keep your heart healthy, but our research proves that it isn't too late to introduce them into your diet - adding even a handful (around 50g) every day for a short period can help. You could replace a daytime snack with a bag of almonds or add them to your regular meals like porridge or muesli to help reduce your risk of heart problems." June 30, 2014 - Scientists from the Institute of Molecular and Cell Biology (IMCB), a research institute under the Agency for Science, Technology and Research (A*STAR), have discovered that obese individuals lack a protein that is essential for regulating blood glucose levels, causing them to face higher risks of developing diabetes. The protein is one of the first molecular links found between obesity to diabetes and is potentially a target for treatment or prevention of diabetes in obese individuals. Obesity and diabetes are two common health problems faced today. Based on a recent analysis reported in The Lancet medical journal, nearly a third of the world's population is obese or overweight. In Singapore, one in nine Singaporeans is obese and the situation is becoming more prevalent with an increase of one percent each year. Obesity inflates the risks of diabetes, which already affects more than 11 percent of the country's population. While statistics indicate a link between the two conditions, the mechanism of how obesity leads to diabetes has always been unclear. In the latest study reported in Cell Reports journal online, researchers at IMCB discovered that a protein, called NUCKS, is missing in obese individuals. The NUCKS protein is a key player in insulin signalling, an important biochemical pathway that is needed to respond to insulin hormones, which promote the uptake of glucose to regulate blood glucose levels. Without NUCKS, obese individuals develop insulin resistance and are unable to regulate their blood glucose levels effectively. This causes their bodies to constantly experience high levels of blood glucose, making them more susceptible to developing diabetes. These findings were supported by Singapore Bioimaging Consortium's (SBIC) cutting-edge bioimaging and metabolic profiling technologies, for identifying the parameters for obesity and diabetes. The NUCKS protein is an important clue for controlling diabetes development in obese individuals. It is the first direct molecular link found between the two health conditions and will open up new areas of research to identify drugs and explore lifestyle changes, such as dietary habits and exercises that could restore the level of NUCKS in the body. Dr Vinay Tergaonkar, Principal Investigator at IMCB and the lead scientist for the study, said, "It is alarming that obesity is a huge risk factor for many ailments, including diabetes. Having identified this protein, we are now a step closer towards removing one of these complications from individuals suffering from obesity." "The world is paying a lot of attention to diabetes. Every year, billions of dollars are spent on metabolic diseases and a big part of the expenditure goes to the drugs for diabetes. The findings in our study have immense therapeutic implications as they will be applicable not only to diabetes in obesity, but also to diabetes as a whole," Dr Tergaonkar added. Professor Hong Wanjin, Executive Director at IMCB, said, "IMCB is now focusing research on molecular mechanisms underlying diseases, which is important in developing future treatments for prevailing human diseases. We are excited to be a pioneer in uncovering a molecular link between these two common health problems. The incidence of metabolic disorders such as diabetes and obesity has been rising over the years, and these findings will prove valuable in further developing therapeutic approaches for them." June 30, 2014 - Leading immunologists expect to see some clear advances in the fight against tuberculosis, an infectious disease that is widespread the world over. Professor Stefan Kaufmann, Director at the Max Planck Institute for Infection Biology in Berlin, echoed these sentiments at today's launch of the scientific programme for the 64th Lindau Nobel Laureate Meeting at Lindau, Germany. "In the past ten years, numerous attempts have been made to develop an improved vaccine. We are now justified in hoping that our vaccine will be effective," explained Professor Kaufmann. The vaccine developed by Kaufmann's research group is already undergoing Phase IIa clinical trials, during which its effectiveness and tolerability will be tested by trial participants. One-third of the world's population is infected with the tuberculosis pathogen Mycobacterium tuberculosis, and the disease claims 1.3 million lives each year. Kaufmann attributes advances such as this in the fight against infectious diseases to the greater depth of knowledge acquired in recent decades about the body's own immune system defences. No fewer than three Nobel laureates who have played a major part in these discoveries are currently participating in the Lindau Nobel Laureate Meeting, which opened on Sunday. Jules Hoffmann from France, Bruce Beutler of the USA and Rolf Zinkernagel of Switzerland will be delivering presentations on the challenges facing modern immunology, one of the main emphases of the week-long programme. Between now and Friday, a total of 37 Nobel laureates will be engaged in an exchange of ideas with aspiring young scientists: over 600 selected undergraduates, doctoral students and post-docs from 80 countries, with the focus on physiology and medicine. Stefan Kaufmann, Founding Director of the Max Planck Institute for Infection Biology and Professor of Microbiology and Immunology at the Charité in Berlin, is one of the two scientific chairpersons of the meeting and played a major role in defining the programme. He has a clear perspective on the direction in which his research area will continue to develop: "Over the next few years we must come to understand the immune system in the context of systems biology." One of the keys to this understanding lies in identifying the molecular and functional diversity of immunocompetent cells. Another lies in investigating the complex interactions with the body's own, as well as foreign cells and substances. This knowledge will provide us with new approaches to the prevention and treatment of infectious diseases such as tuberculosis, and help to improve our understanding of allergies, autoimmune diseases and the body's own cancer surveillance mechanism. The complexity of the biological and biochemical foundations that underlie the human immune system is one reason why tuberculosis, which has existed for thousands of years, is still being combated with a vaccine that is itself almost a hundred years old, and has proven to be of little effect; and why a six-month course of antibiotics is required to treat infected patients. The pathogen Mycobacterium tuberculosis skilfully evades the weapons available to the body, as well as to medicine. "The pathogen establishes itself in macrophages and obstructs an efficient immune response," Stefan Kaufmann explains. Inside these phagocytes, which actually support the body's immune system defences, the bacteria can remain inactive and survive for long periods of time, and so escape the majority of antibiotics. The thick, impermeable fat layer in the cell wall also provides protection for the pathogen. "The old BCG vaccine against tuberculosis primarily activates only helper cells. The trick with our new vaccine is to additionally activate the killer cells, which enables us to trigger an improved immune system response," Kaufmann continues. In addition to research into vaccines, innovative treatments are also being investigated which attempt to entice the bacteria out of their macrophage hiding places. The above story is based on materials provided by Lindau Meeting of Nobel Laureates. July 1, 2014 - Traffic noise is the second biggest environmental problem in the EU, according to WHO. After air pollution, noise is affecting health the most. But legislation regarding noise pollution is insufficient. A new report shows how negative health effects of noise can be reduced. Several means are easiest to apply in dense cities. Most of us are not aware that cars today produce as much noise on the outside as they did 40 years ago. However, heavy vehicles have become somewhat quieter. The number of people exposed to noise pollution in our cities remains high. Traffic noise is today linked to stress-related health problems such as stroke and heart disease. "In recent years, the scientific basis for assessment has broadened considerably. But the legislation to protect residents of unhealthy noise levels is completely inadequate," says Tor Kihlman, Professor Emeritus of Applied Acoustics at Chalmers. Last fall, Tor Kihlman and Wolfgang Kropp initiated a meeting between international experts from the automotive industry, universities and government agencies in Innsbruck to discuss technical possibilities to achieve better urban environments. A summary report from the meeting is now available, see below. No simple technical solution exists for solving the traffic noise problem - neither at the source nor for preventing noise from reaching ears. In order to achieve improvements, concerted actions from everyone involved are required, but such coordination of actions is lacking today. The division of responsibilities is unclear, says Tor Kihlman. "Many of the needed measures are ideal for implementation in dense cities. They are often in line with what is required to tackle climate change. Here are double benefits to point to," says Tor Kihlman, mentioning three examples: the procurement of quiet public transport, reduced speed, and the usage of buildings as as effective noise barriers, through good urban planning. The new report describes the first steps needed, politically, for society to move towards substantially reduced health effects caused by traffic noise. "The problems with traffic noise from roads cannot be satisfactory resolved by only taking actions at the source of the noise, not with foreseeable technology. Therefore, the report is also covering planning and construction measures. But today's methods of measuring and describing the noise emissions are neither sufficient nor adequate from the exposed citizens' point of view, says Tor Kihlman. The above story is based on materials provided by Chalmers University of Technology. July 1, 2014 - The risk of developing cancer increases with age. Factors like smoking and regular aspirin use also affect the risk of cancer - although in the opposite sense. Researchers from the University of Basel were now able to show that aspirin use and smoking both influence aging processes of the female genome that are connected to colorectal cancer. The Journal of the National Cancer Institute has published their results. Already in the 1990s, scientists discovered that regular use of aspirin over long periods of time decreases the cancer risk. Since then, numerous studies have confirmed the protective effect of the drug against different types of cancer. Regular aspirin use is said to reduce the risk to develop colorectal cancer by an average of 40%. However, it is unknown how exactly the drug influences the cancer risk. A research group led by Prof. Primo Schär, molecular geneticists at the Department of Biomedicine from the University of Basel and gastrointestinal specialist PD Dr. Kaspar Truninger, has now discovered a possible mechanism of how aspirin decreases the risk of cancer: It slows down certain aging processes of the genome - namely modifications that also play an important role in the development of tumors. In order to analyze the relationships between lifestyle and genome aging, the researchers examined intestinal tissue samples of 546 healthy women over 50 years of age. They compared age-specific changes of gene markers, so-called DNA methylations, with the women's lifestyle factors regarding aspirin use, smoking, body mass index and hormonal replacement therapy. The most significant effects were measured for aspirin use and smoking. "Each cell's genome resembles a library that is full of bookmarks," explains Schär. Thanks to these bookmarks, the cells know which genes to read, so that they can fulfill their specialized tasks as skin, muscle or intestinal cells. "But these markers are not very stable and change during the course of age. If, at certain parts of the genome, the change is to drastic, tumors can develop," says Schär. In this study, the researchers were able to show for the first time that this age-related decay of gene markers can be slowed down by the regular use of aspirin. Smoking on the other hand, accelerates the aging process. "Especially affected are genes that also play a role in the development of cancer," says Dr. Faiza Noreen, research associate at the Department of Biomedicine from the University of Basel and first author of the study. Truninger emphasizes that it would be premature to start taking aspirin solely for cancer prevention without consulting a doctor first - especially when regarding the potential side effects such as gastrointestinal bleeding.